This package provides a minor mode annotate-mode, which can add annotations to arbitrary files without changing the files themselves. This is very useful for code reviews. 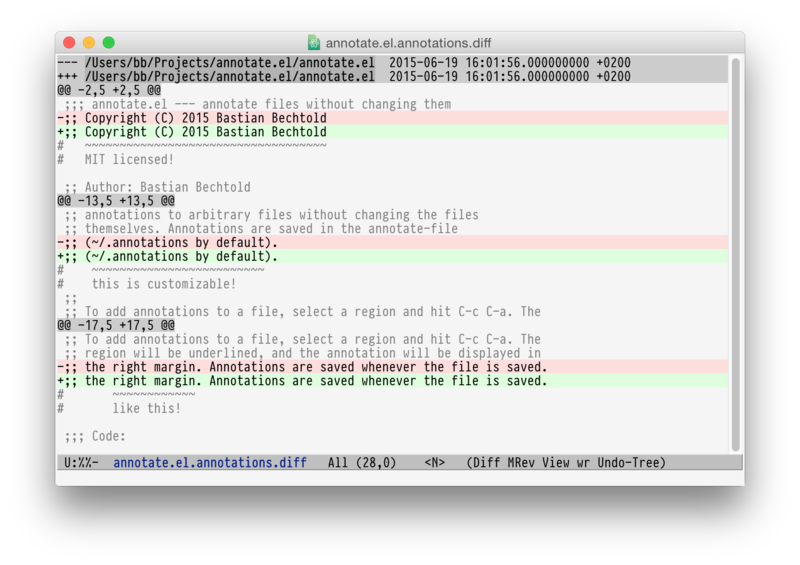 When annotate-mode is active, C-c C-a will create, edit, or delete annotations. With an active region, C-c C-a creates a new annotation for that region. With no active region, C-c C-a will create an annotation for the word under point. If point is on an annotated region, C-c C-a will edit that annotation instead of creating a new one. Clearing the annotation deletes them. 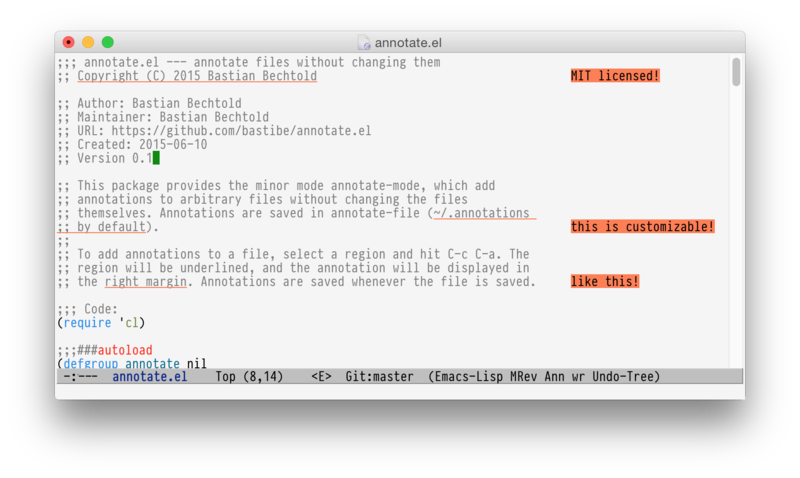 All annotations are saved in annotate-file (~/.annotations by default).